MirroCool only uses top-quality mirrors and the brand is well-known for its adherence to the best production process. We only use a precisely cut ¼ thick glass with thick silver nitrate coating. The edges can be polished or beveled. When the display is switched off, it looks like an ordinary mirror and blends well with your decor. With its thin hardware, hidden within 2 cm of frame, so no electronics are seen. MirroCool Smart Mirror is equipped with a high-speed, quad-core processor, 2 GB RAM, built- in internal storage, Wi-Fi and a Bluetooth adapter. MirroCool Smart Mirror has a built-in, 5-inch, High Definition display screen visible only when activated. 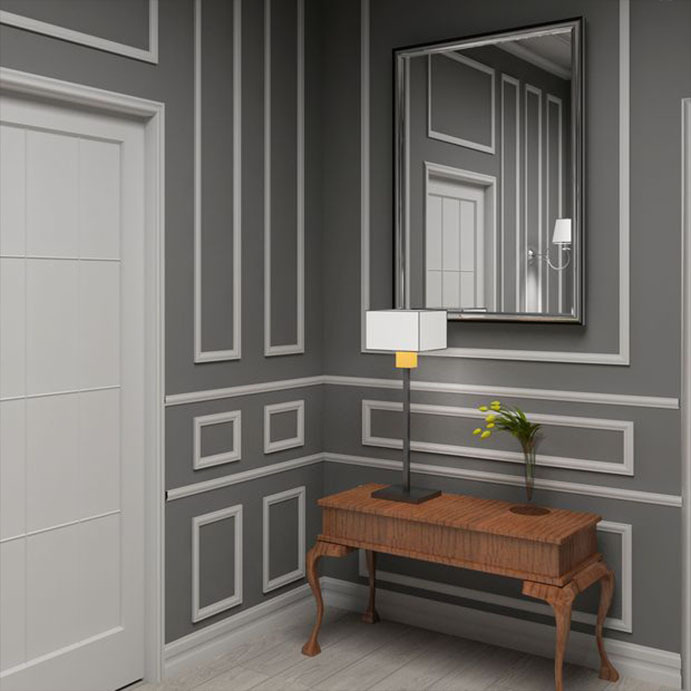 The mirror connects with the Internet and your smart device through your home Wi-Fi network as well as through Bluetooth. The MirroCool Smart Mirror App allows to set the information you wish to see and that is of value to you. It is 100% customizable to your needs. The High-Def camera is designed for hand free control. With the use of gestures and facial recognition, you control the mirror. The built-in HD camera doubles as a security camera and takes selfies. You can switch it on or off in the “Privacy” mode. MirroCool Smart Mirror displays the current date and time as well as traffic information to your most current destinations, such as work and home. You take the bus and train? The public timetables are displayed to help you catch your transportation on time. Sync MirroCool with your calendar. MirroCool will keep you updated of upcoming meetings and not-to-miss events. Compatible with Google calendar, icloud. Choose from a wide array of widgets; e.g., weather forecast, breaking news, and social networks like Facebook, Google+, Twitter and many more. We plan to to expand our collection of useful widgets for download. Your firmware will upgrade automatically and not required a new device purchase. MirroCool Smart Mirror stores as many user profiles as you desire. Thanks to our built-in HD camera connected with a super fast processor and our sophisticated algorithm, MirroCool will instantly detect and recognize the distinctive facial features and display the data of associated user’s profile. MirroCool Smart Mirror also recognizes facial gestures to control the device. No need to touch the mirror. No need to use your voice. You want to switch between different widgets? Move your eyes top-right or top-left corner. How about take a selfie? Just blink your eye. How cool is that! If you have privacy concerns, change your setting for the “Privacy” mode, and the built-in camera is then fully disabled. Set up your feature settings using the “MirroCool” mobile app and program which widget you want to loop and at which interval. 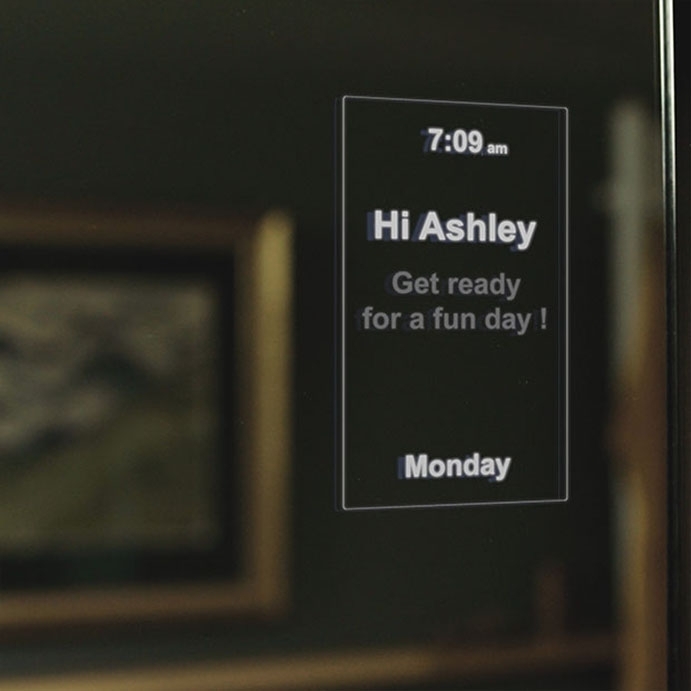 More than just a personal-assistant, MirroCool Smart Mirror is also a home surveillance device. In the “Away” mode, the display is disabled and MirroCool looks like an ordinary mirror, but the camera is switched on and operates in motion detection mode. 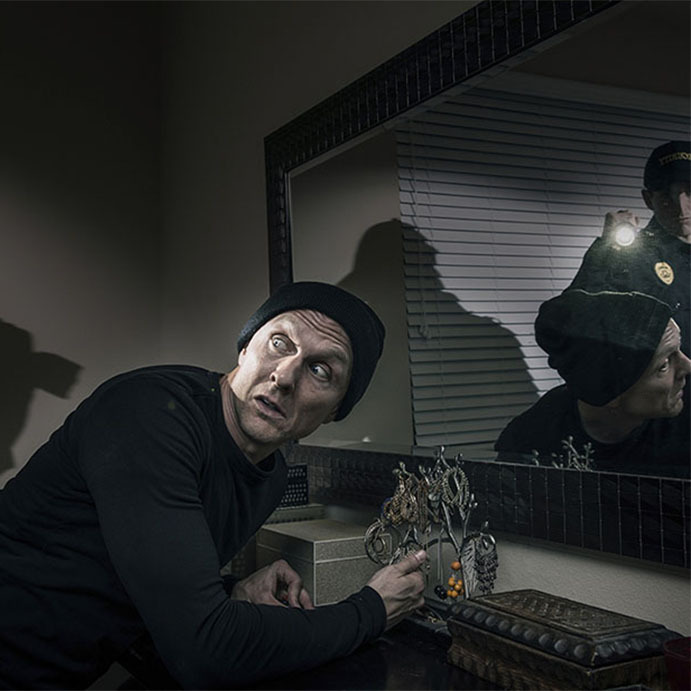 If the camera detects a face, which is not a recognized “home users”, it will take pictures of the “guest” and sends them instantly to your MirroCool mobile app followed up with an alert notification. It’s up to you to decide whether to call the police or not, at the click on a button. Thanks to our fast HD camera, MirroCool Smart Mirror can take selfies, as well as hidden camera photos (in “Away” mode). Upload your photos to the MirroCloud or shared them on Facebook, Google+, Instagram and Twitter. 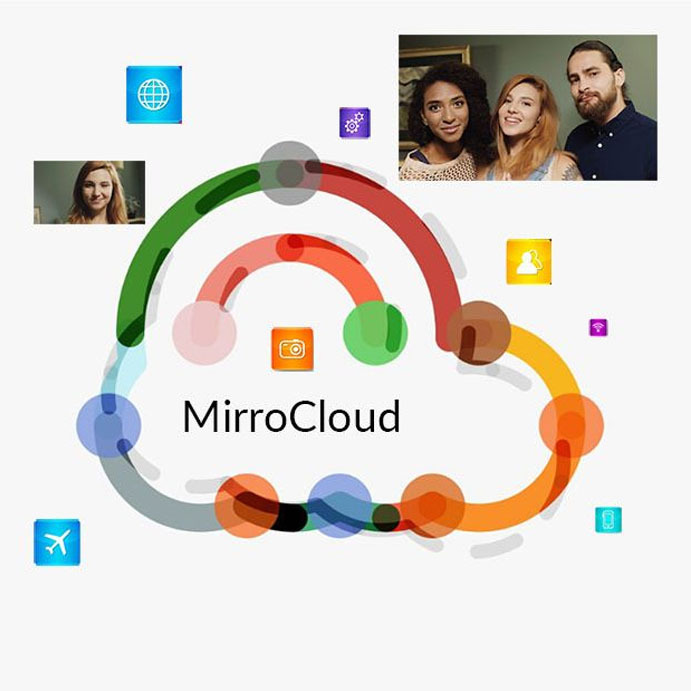 Registered MirroCool Smart Mirror users can gain access to the online MirroCloud storage to store, backup, and protect their MirroCool selfies. MirroCloud also provides a backup storage for your MirroCool app settings and to backup your calendar.